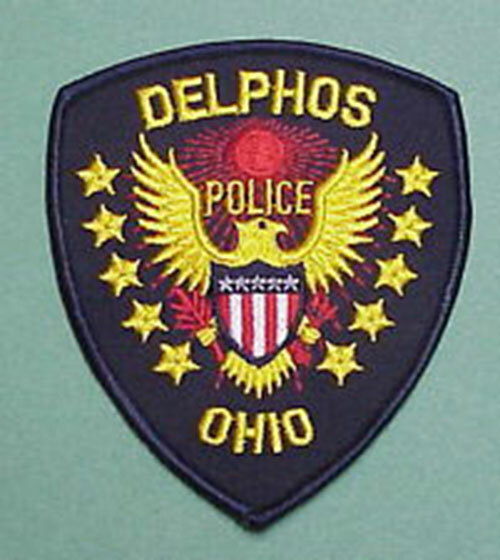 DELPHOS — On Jan. 1, officers were sent to the 800 block of Pinehurst St, to investigate a domestic dispute. Officers arrived and met with the female complainant. She told officers that she and her boyfriend had an argument that turned physical. Officers located the male, 35-year-old Justin Whittaker, and after speaking with both parties, found probable cause to arrest Whittaker for assault and telecommunications harassment. Whittaker was taken into custody and transported to the Van Wert County Jail. He will appear in Van Wert Municipal Court. On Jan. 1, officers were dispatched to the 200 block of North Main Street in reference to a female that was threatening to harm herself. Officers arrived and located the female. After speaking with her she agreed to be transported to the hospital by Delphos Fire and Rescue for evaluation. On Jan. 1, officers received a call from a female who wished to file a report. The female told officers that her 17-year-old son had left the residence without permission and had not returned. The juvenile was entered into a law enforcement database as missing/runaway. On Jan. 2, a female complainant called the police department to report an incident. She told officers that she had her vehicle repaired after it broke down. The female was advised that someone had put an unknown substance in her fuel tank. On Jan. 4, officers on patrol located a male whom they knew to have an active warrant. The male, 38-year-old Kristopher Mills, was taken into custody and transported to the Van Wert County Jail on the domestic violence warrant. On Jan. 5, a male called the police department to report that his wife had left the residence and was attempting to harm herself. The male gave officers the location at which he believed his wife to be. The information was passed along to the Van Wert County Sheriff’s Office at which time deputies located the female. On Jan. 5, officers were dispatched to a residence in the 700 block of South Washington Street in reference to an unruly juvenile complaint. Officers arrived and met with a mother and her 17-year-old son. The female stated that her son was yelling at her and causing damage in the home. After speaking with both the mother and her son, it was determined that she did not want to pursue charges. On Sunday, officers responded to the 900 block of Lima Avenue for a burglary complaint. Officers met with the complainant and he stated that he returned home and found items missing from inside his residence. It was undetermined how entry was made to the residence as there were no signs of forced entry. The incident remains under investigation. On Monday, officers met with employees at a business in the 1100 block of Elida Avenue. The employee stated that they had rented an item to a female and she has not returned it and they cannot make contact with her. On Tuesday, a female contacted the police department in regards to an internet fraud. The female told officers that she made two separate Western Union payments to a person in Colorado, who was selling a pitbull puppy on the internet. After sending the money, the complainant found that the seller deleted all forms of contact.